Continental 420 door interlock switch. SPST contact that is made when door closed. 1-13/16" mounting center. General Electric P/N: 7460330-G4. Richmond safety switch. Lever trip switch looks like automotive / truck service part. 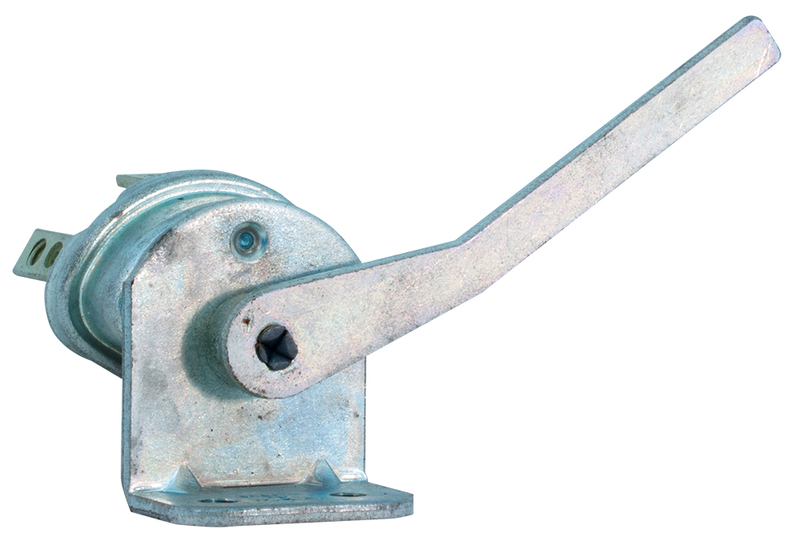 Single contact on rear makes when lever travels 1/2 way down. Electrical contacts are 8-32 tapped / solder lugs. 0.825" x 1.12" mounting plate. 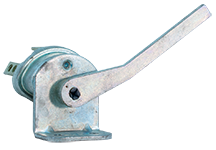 2-7/8" x 1/4" lever, 2-1/2" travel. NSN: 5930-00-849-1749. Similar to (SWZ) 8487.
Cooper Industries keyless lock switch. Oil tight gasket. 6 threaded screw mounts on back. Double break, double make, both maintained. Single knob. 1-5/8"L x 1-5/8"W x 1-7/8"H. 1" diameter switch. NSN: 5930-00-433-4959. Complex lever switch. SPDT + extra contact set in one position. Center off. 2.5 amp, 250v contacts. Bracket 3" wide. Switch body 2-5/8" perpendicular. 1-3/8" overall travel on lever. NSN: 5930-00-117-9382. Nut. Fits Chicago Lock key switch and others with 3/4" threaded body. 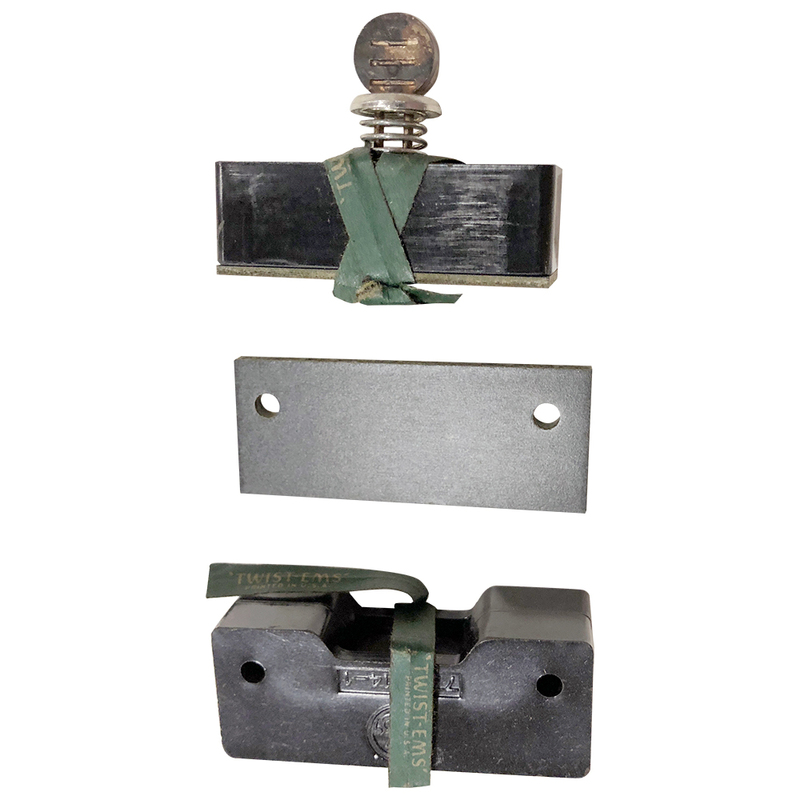 Highest quality limit switch for industrial applications. Hermetically sealed enclosure. AN-3054-8 M/S connector included. 3/8" arm travel (position adjustable) actuates switch (1- N.O. & 1- N.C. contact). Flange mounting base. Allen Bradley adjustable roller level. Fits SWZ-802T-AP (right). 4" radius, adjustable arm length. Nylon roller. Fits spline shafts 1/4" to 0.30”. AB P/N: 802T-W17 series B. New. Micro switch assembly. Push - momentary. White top or clear bottom. Activating a normally open SPST microswitch. Broad-caster green light / red light. Each paddle lit from beneath with lamps - 220v, 10 watt, threaded base. Gates P/N: 937-7705-001. Switch rubber boot, dust & moisture. "APM - Hexseal". 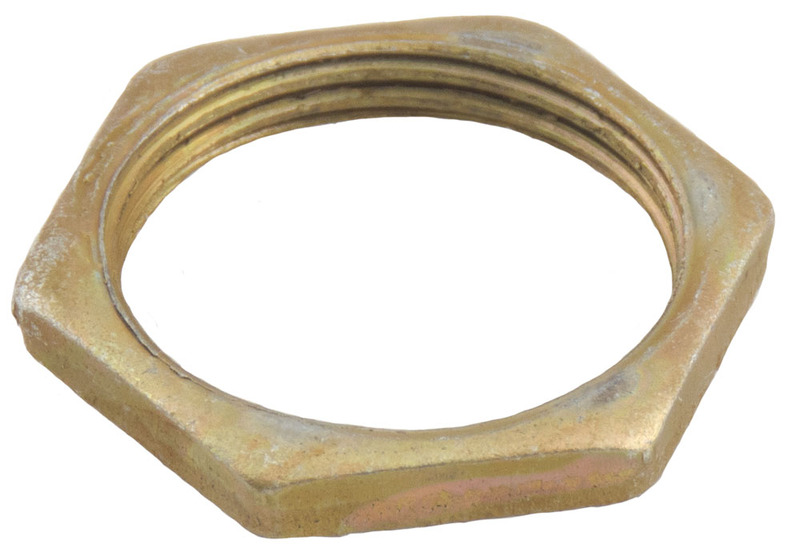 Fits 0.422" bushings (7/16 - 28). Just thread onto top of switch. 0.46" inside depth. NSN: 5930-600-6088. Lever trip switch looks like automotive / truck service part. 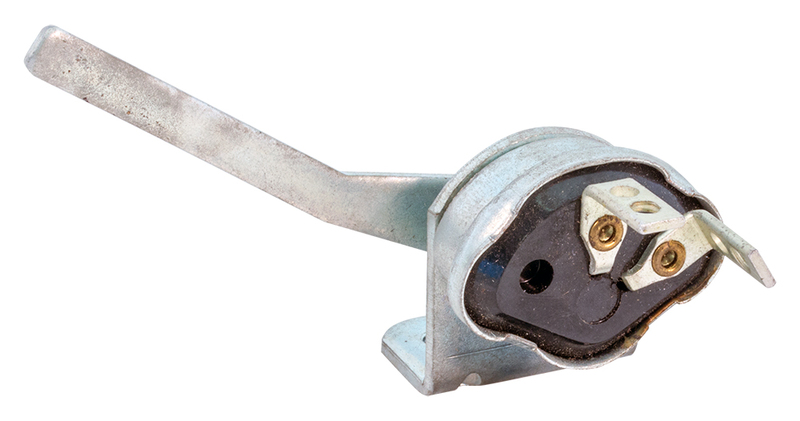 Single contact on rear makes when lever travels down 1/2 way as pictured. Electrical pins are auto bullet type. Customer Ken Wells said "I thought I would try to help with the identity of this switch. I used one of these in my 1958 Chevy pick up. 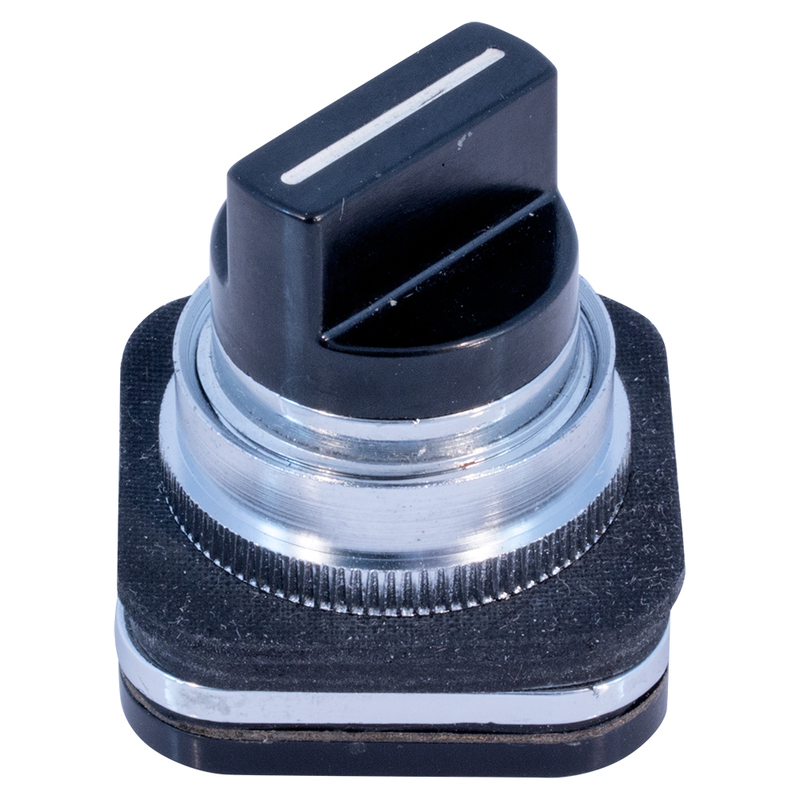 It is used for the underfloor brake light switch." Another customer indicated this switch is used on heavy trucks such as dirt dumpers and garbage trucks to give a "bed up" or "bed not locked" warning light in the cab. 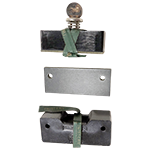 Cutler Hammer hermetically sealed, water tight, enclosed switch. Arm travels 45º CCW to switch + 15º to end. Industrial grade. 1.5 amp contacts. 1- N.O. & 1- N.C. set. All metal parts are bronze or stainless. Box is PVC. Lid has rubber seal. 3" x 3-1/8" x 8" long. Arm 3" long center to roller top. 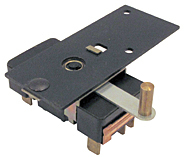 Hobart (Welders) magnetic safety switch / door safety switch assembly. Water tight. 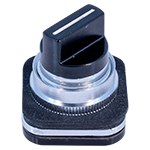 7/8" x 2" magnetic sensor area. NSN: 5930-01-135-4038. 30 amp replacement module for mercury contactor. Works well for tilt switch too. 5-1/2" leads. WARNING: Contains large volume of mercury. Telephone hook switch. 4 poles. Internal component. White bat. 120/240 vac, 3 amp. Double pole, 3 position. Center: 1-2 / 3-4 ON, 1-5 OFF -- Up: 1-5 / 3-4 ON, 1-2 OFF -- Down: 1-2 ON, 3-4 & 1-5 OFF.